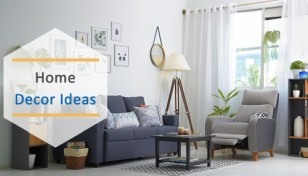 There’s no denying the fact that indoor spaces are getting constricted by the day, underlining the need for space-saving solutions which go well with modern day aspirations. Vertical gardening is something that is really catching up as it gives homeowners the flexibility to grow far more plants and vegetables indoors than it would be possible with conventional gardening techniques. As the name itself suggests, vertical gardening is using the vertical space inside your home to satiate your desire for growing plants and veggies without compromising the floor-space. Vertical gardens make sense in urban settings where optimum utilization of available space is paramount. 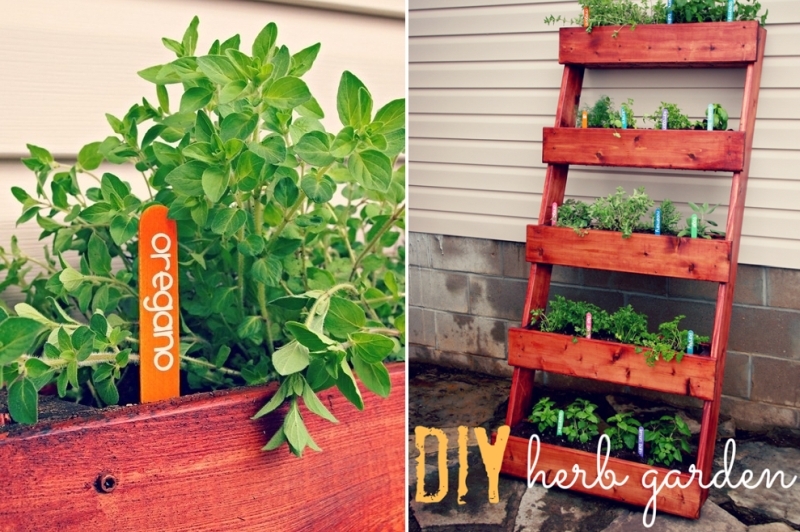 In vertical gardening, the plants grow horizontally, supported by a trellis or other support systems. A vertical garden is also referred to as green wall since the plants in it cover the wall partially or completely, turning it green in color. In most cases, the green walls use growing mediums like substrate and integrated watering system. Vertical gardens come in all shapes and types depending on the supporting material that acts as their base. For example, they can be grown on a trellis, on PVC pipes or unused crates. 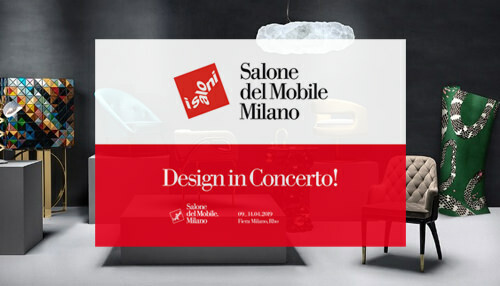 The possibilities are limitless, depending on the creative bend of the DIYer. Vertical gardens have more to them than merely saving indoor space. They have a plenitude of benefits, making them the ideal choice for people who love gardening but are restricted by space crunch. Living in urban areas can limit your possibilities when it comes to gardening. An indoor vertical garden revives that opportunity since you need very little space to grow your favorite plants. You can grow five times more plants, flowers, and vegetables using this method which encourages urban dwellers to reclaim the space for healthy farming indoors. 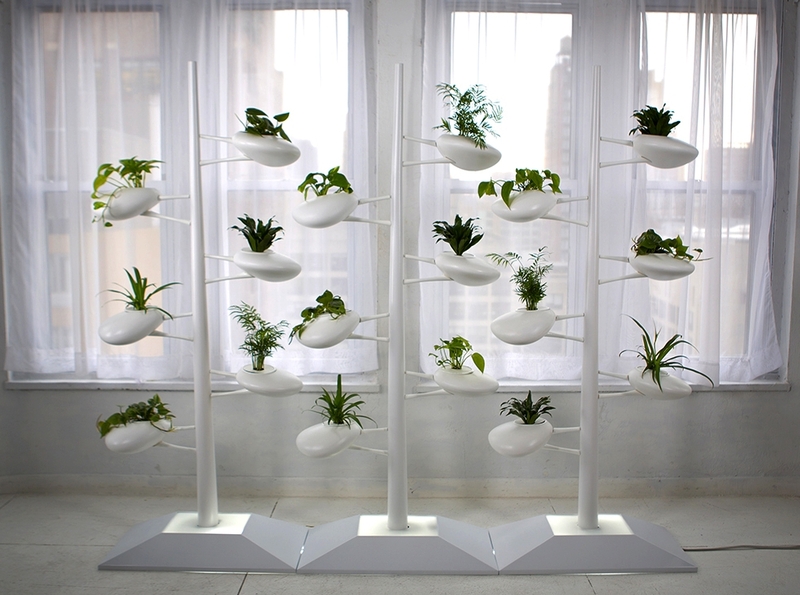 In a vertical gardening system, the hydroponics method of cultivating plants is also used. Rather than using soil, a mineral nutrient rich solution is used in hydroponic gardening which helps the plants to grow at a much faster rate. With the idea of implementing vertical garden for your interiors, the possibilities of growing a variety of plants and vegetables also increase. Different sections of a vertical garden permit the user to grow a variety of plants, especially climbers like vines, which move very well on a trellis. It goes without saying that an indoor vertical garden enhances the look of any interiors. The vivid colors of your indoor garden will add life to the interiors and match well with any color scheme. Having greenery inside your house helps you stay relaxed at all times. In fact, studies have shown that indoor plantation results in better concentration levels and increased productivity by up to 15%. 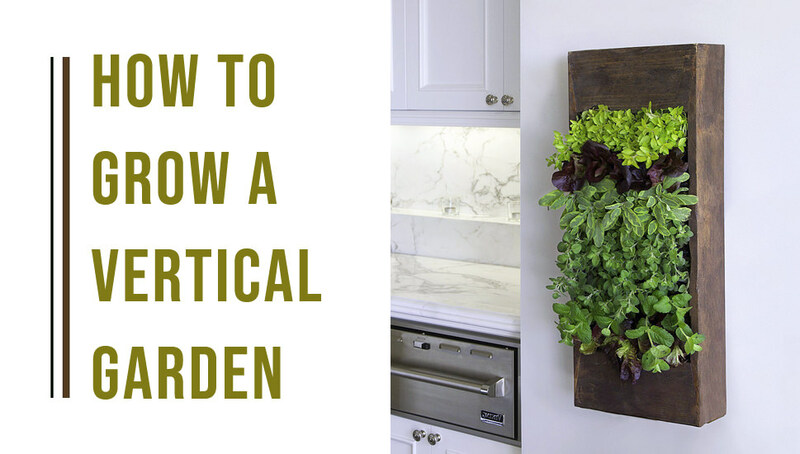 Vertical gardening displays plants and vegetables in an upright wall-like arrangement which all goes well for the indoors. They improve the overall health and well-being of the inhabitants which is a great bonus in modern day stressful life. Indoor plants make sure that the air quality inside remains healthy. They ensure this by absorbing toxins and releasing oxygen. People who have frequent allergies benefit a lot from indoor vertical gardens, as the indoor air is purified naturally. They add an extra layer of insulation which helps in cooling down or heating up the interiors. This consequently reduces the need to use appliances to maintain the indoor temperature. If the layout of the vertical garden is created properly it can save on energy bills considerably for homeowners. Indoor vertical garden reduces the noise level as they absorb the acoustic energy of the sound. They also insulate the interiors from outdoor noise as the noise is reflected off the vertical wall of plants. 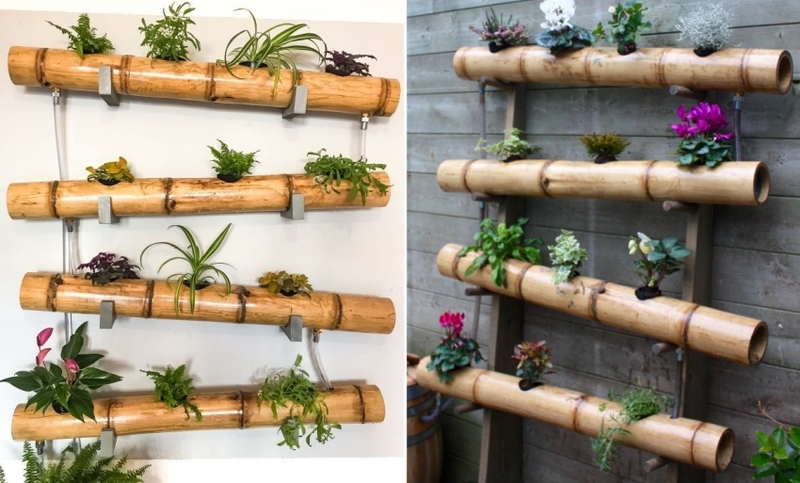 Things like plastic bottles, old crates, wall panels, and countless other things can be used to create beautiful vertical gardens. This expands the possibilities for getting creative and giving a unique personal touch to your indoor vertical garden. Vertical gardening is the best way to protect your plants and vegetables from the onslaught of pest due to the higher elevation at which the plants are kept. Also, the space between the plantations allows for proper air flow which keeps the small bugs from finding a home in them. Although the advantages of growing a vertical garden are countless, there are certain things that should be kept in mind, which can be considered as disadvantages or cons of having a vertical garden. Plants incubating a vertical garden require more care as they have limited exposure to the soil and water. Moreover, the shallow root system means the plants need constant care. Especially in the case of hydroponic vertical gardens, the level of mineral substrate and the watering needs to be precise to keep the plant healthy and ensure proper growth. Providing sturdy support to some plants like wisteria vines or vegetables such as melons or tomatoes can be challenging. Heavy plants need an anchor point for substantial support which otherwise is not a problem with conventional methods of growing plants. Planting vertical garden against the wall will retain moisture which can damage the structure of the wall. Also, the wall might develop molds, staining or other conditions induced from moisture content. Some plant species are not meant for vertical gardening and don’t respond well to this ecosystem. This restricts the homeowners when it comes to choosing the plants or vegetables for the indoor vertical garden. The first step toward having a sustainable vertical gardening system indoors is to decide which style you prefer. 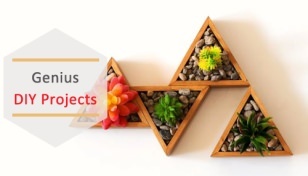 Whether you want to have a trellis style vertical garden, one made from containers, wooden pallets or crates stacked vertically or pocket garden having plants cocooned in small housing made from felt or canvas. Ideally, vertical gardens can be grown anywhere depending on the sun exposure, type of plants you are planning to choose and the space in your house. 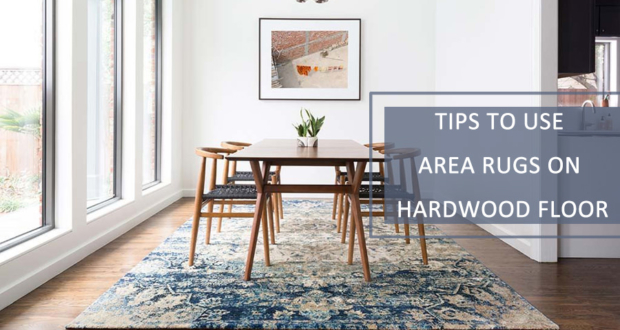 Whether you are planning to have one in your living room, corridor or bedroom, it is very important to do the planning very carefully. The maximum height of the plant should be considered beforehand and the supporting structure designed accordingly. Research about the maximum height that each plant grows to, and depending on the indoor garden’s placement, choose the plants accordingly. As plants grow they can get heavy (especially vegetables or fruit plants) therefore, the support should be sturdy to take the weight of the plant. Creating your own vertical garden is a fun activity that’ll keep you engrossed during the weekend. The cost involved in building one depends on the material of choice for the frame, irrigation system, fertilizer injector and the plants, flowers, and vegetables you choose to grow. On average, growing a vertical garden will cost you anything from $100 – $200 for creating a sustainable ecosystem. If you want to start off with pocket gardens, it is going to cost even less as you won’t require the irrigations system and fertilizer injectors. The selection of plants for the indoor vertical garden is very important. Choose plants and veggies that are well suited for low-light conditions. 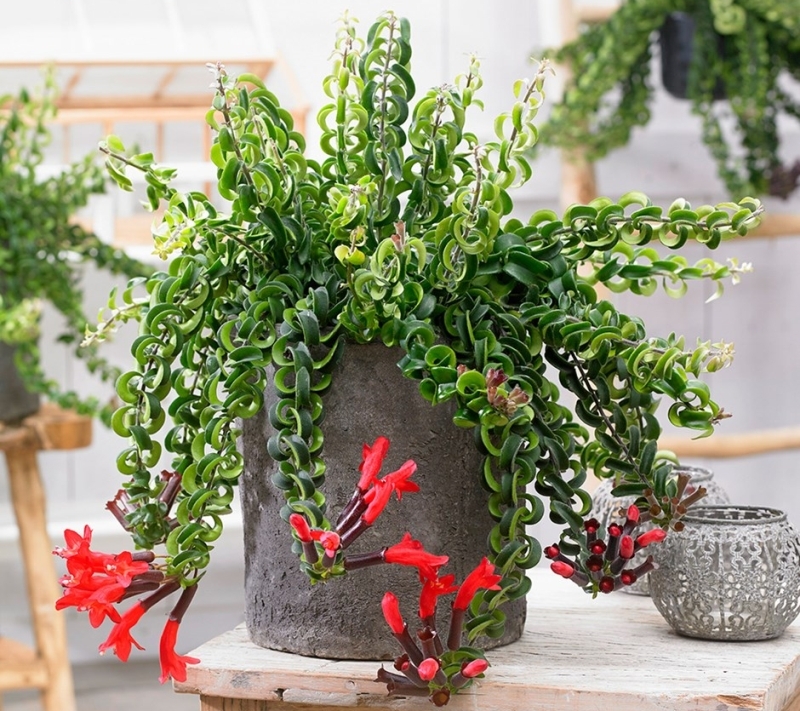 Here are some of the best indoor plants to go for. This vining plant is made for low-light interiors and it has low maintenance requirements. Pothos (Epipremnum aureum) also known as Devil’s Ivy can be coaxed to climb the wall or hang from the resting place without much problem. Pretty accustomed to hanging baskets, the Lipstick plant (Aeschynanthus radicans) requires lower sunlight and thrives in dry conditions. The plant has typical shining green leaves painted with burgundy shade underneath. This plant adds character to your interiors as it has red flowers protruding from the black calyces. 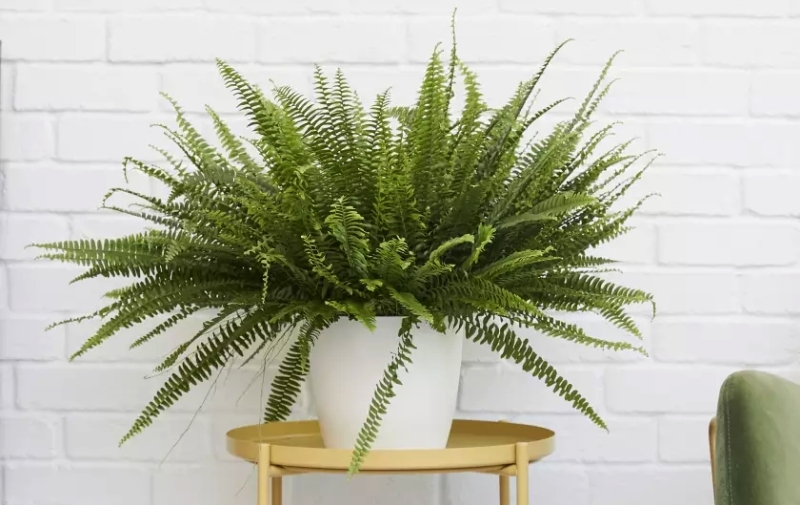 Sword Fern is another low maintenance plant, ideal for a vertical garden. 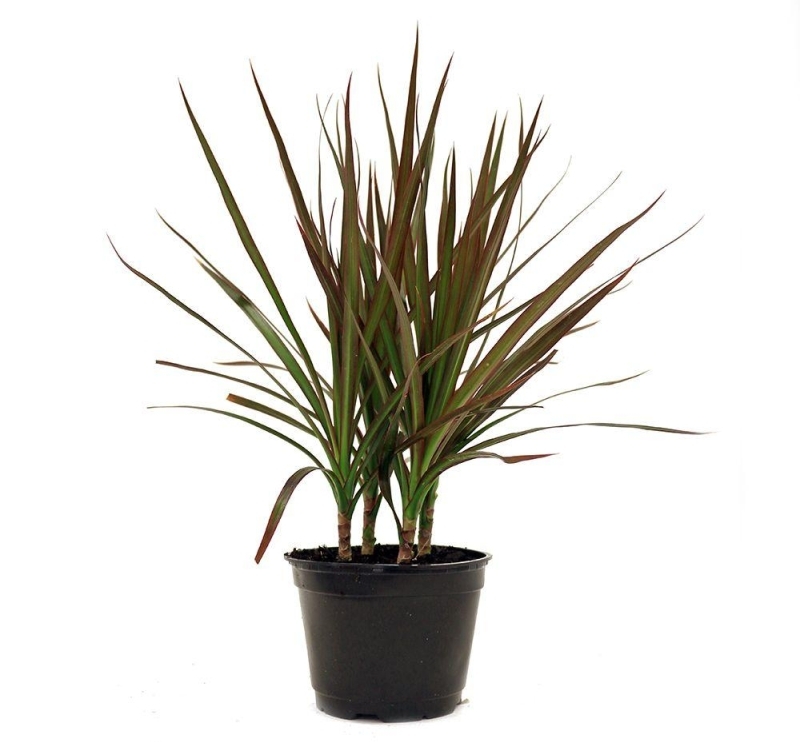 Since the plant originates from the tropical regions, it is best suited for humid conditions. Try and keep the Sword Fern (Nephrolepis exaltata) at the lower end of your vertical garden as it soaks up the water dripping from above. 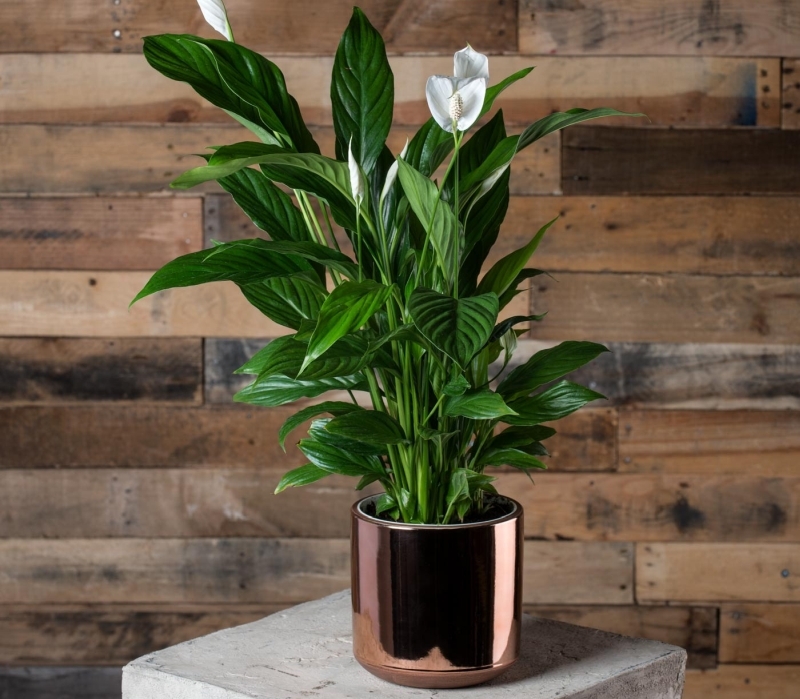 A popular indoor plant having green vibrant leaves, Peace Lily (Spathiphyllum wallisii) thrives in low light, humid conditions and require less water. It is another favored choice for vertical gardens due to its quick growing abilities. In the bloom, white flowers can be seen originating from the leaves which look absolutely beautiful. Succulents (Semperevivum sp.) have a section of their leaves which are very thick and fleshy to retain water in arid climates. These plants are the most used for indoor vertical gardening due to their minimal maintenance requirements. 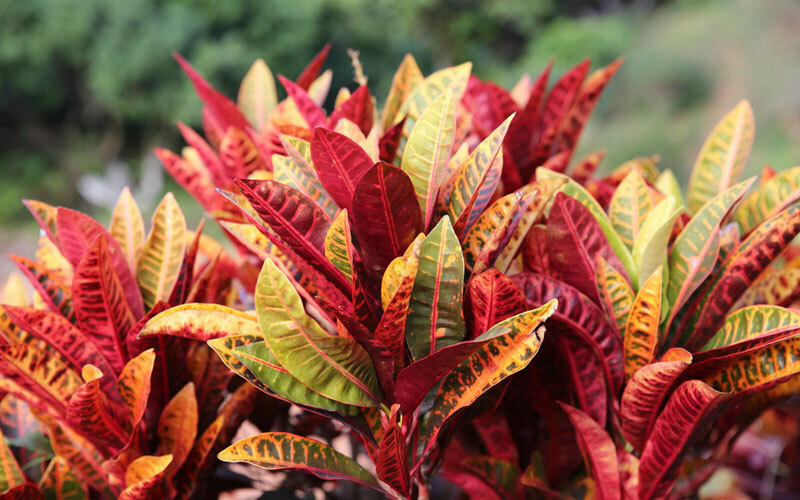 This is a colorful shrub with leather-textured leaves which adapt color and leaf size according to the lighting conditions. In low light conditions the leaves are going to be smaller and less pigmented and vice versa. 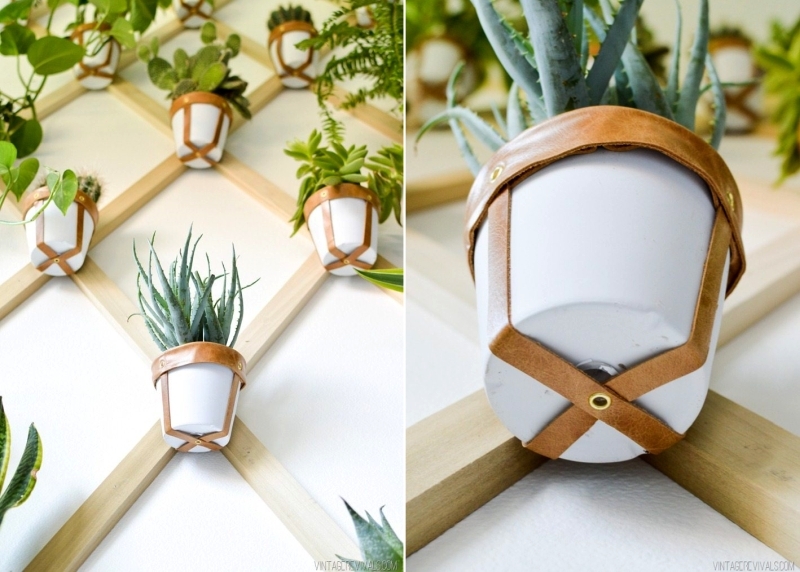 This indoor plant grows straight having upright strap-like leaves which are bicolored. Dracaena (Dracaena sp.) can survive in practically all kind of climates, except in chilly environments. The plant doesn’t need much watering, therefore it should be kept in the higher sections of your vertical garden. These indoor plants have shiny yellow leaves and tend to like areas of your home which have good sunlight. 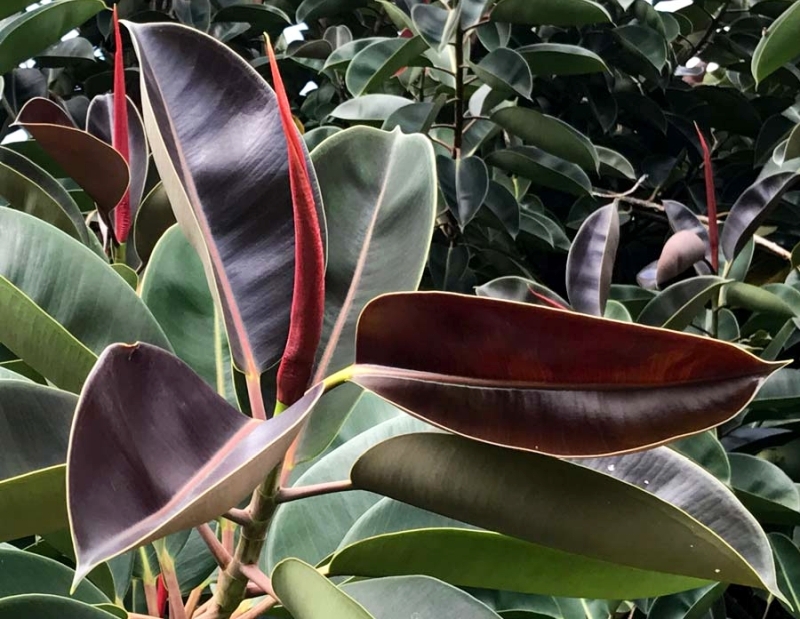 Some ficus leaf plants also have green and red leaves which add vivacity to the interiors. 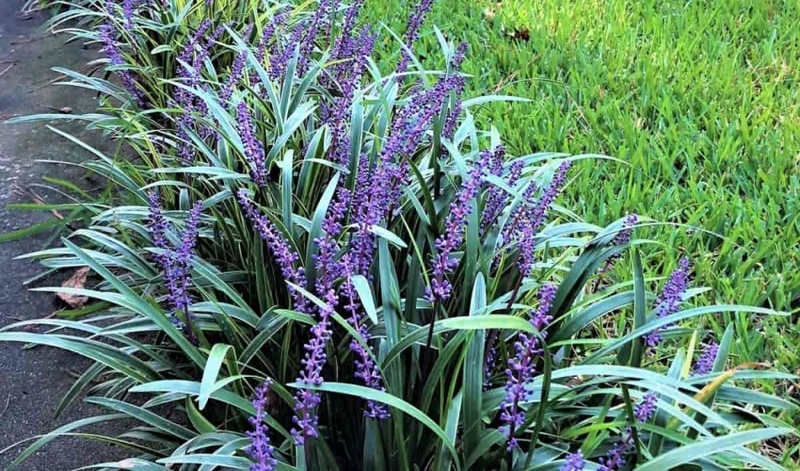 Giant lilyturf (Liriope gigantea) plant has glossy dark green strap-like leaves and beautiful flowers which bloom in summer. They require regular watering throughout the year and should be kept at the lower end of the vertical garden to soak the water dripping down. 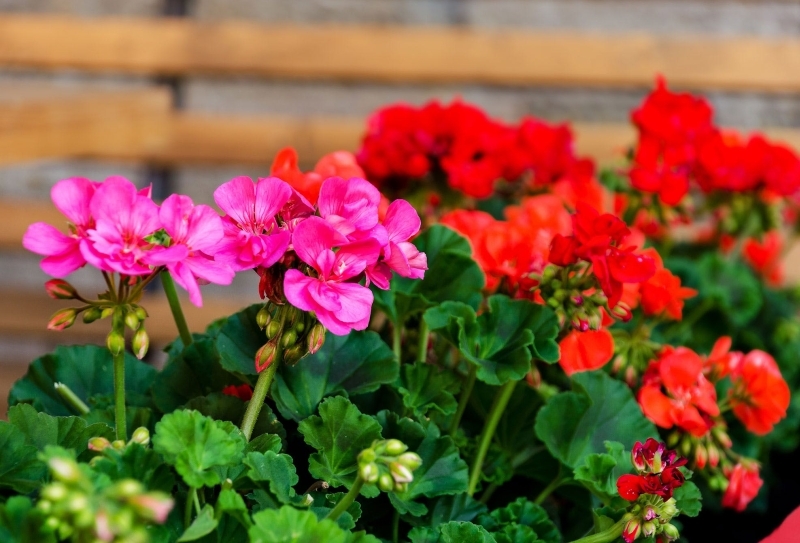 Also known as Geranium dissectum, these plants have colorful bright colored flowers which add character to any type of interior. 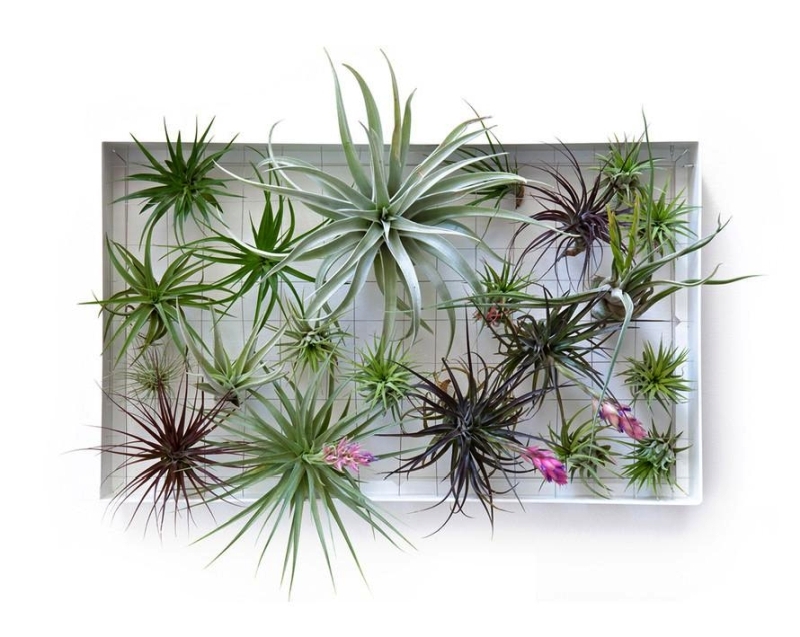 They don’t require frequent watering like some of the other plants, which makes them a fine choice for indoor vertical gardens. 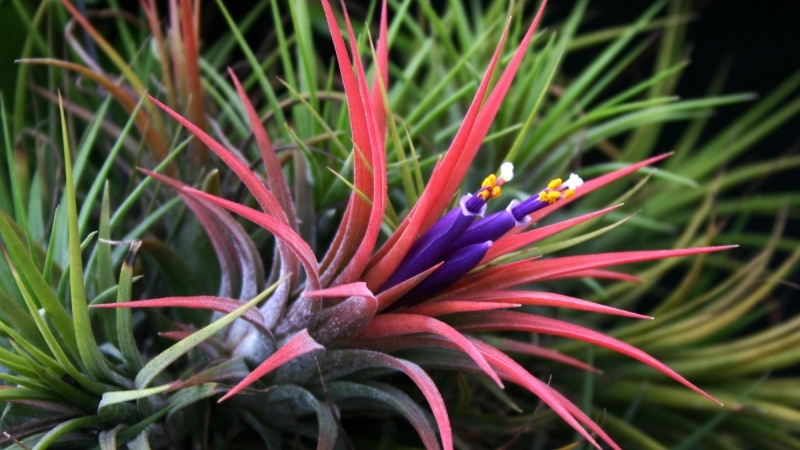 The Bromeliaceae, also known as bromeliads are monocot flowering plants with shallow roots which make them perfect for indoor gardens. They require very less space and need moderate watering. Vertical gardens look aesthetically pleasing and boost your interior décor but there are few things to keep in mind. Most of the vertical gardens depend on the watering system which keeps the plant ecosystem in a healthy condition. Regular maintenance to identify any faults in the drip irrigation system is important to ensure the plants receive nutrients for healthy growth. Tasks such as pruning, weeding, and irrigation should be done to maintain the look and overall health of the plants regularly. In a vertical garden, it is advised to water the plants at the base and not sprinkle water over the leaves. This will prevent the chances of fungal infection or whitefly (Trialeurodes vaporariorum) infestation which sap the plant juices. Initially, when the plants are young, they don’t need any kind of support to grow against gravity. After a few months, however, they’ll need support to grow properly. Since they are fragile, proper care is needed so that the stem doesn’t break as you train it to grow horizontally. Making a vertical garden yourself is a satisfying activity as you go deep into the details of creating a green oasis indoors. 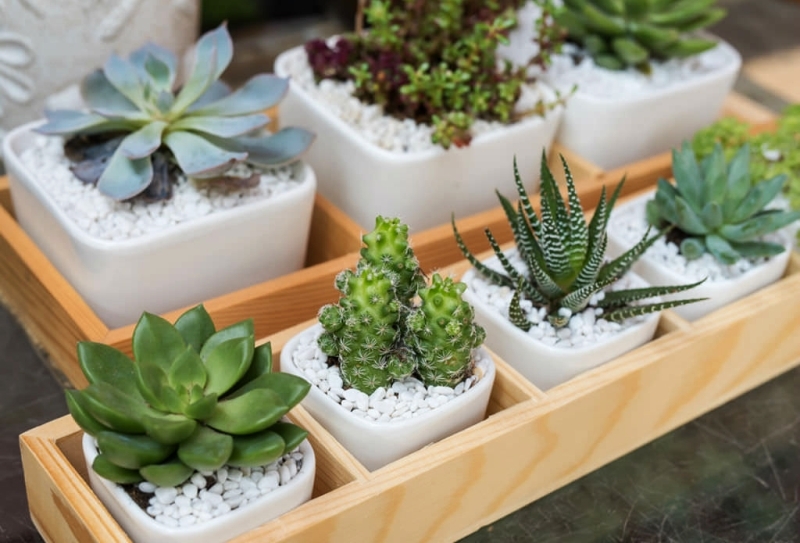 The idea of using household things (some that are lying in the trash) for making an indoor garden makes sense as you display your creativity to everyone who pays a visit. 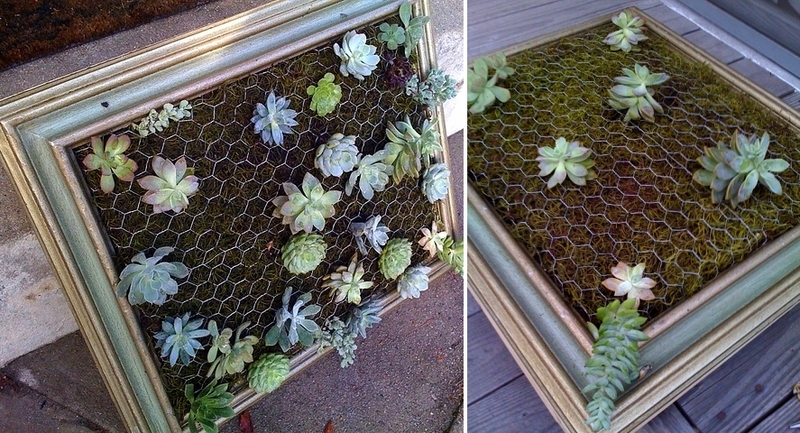 The old photo frames piling dust in your basement can be put to good use by creating a framed succulent vertical garden. 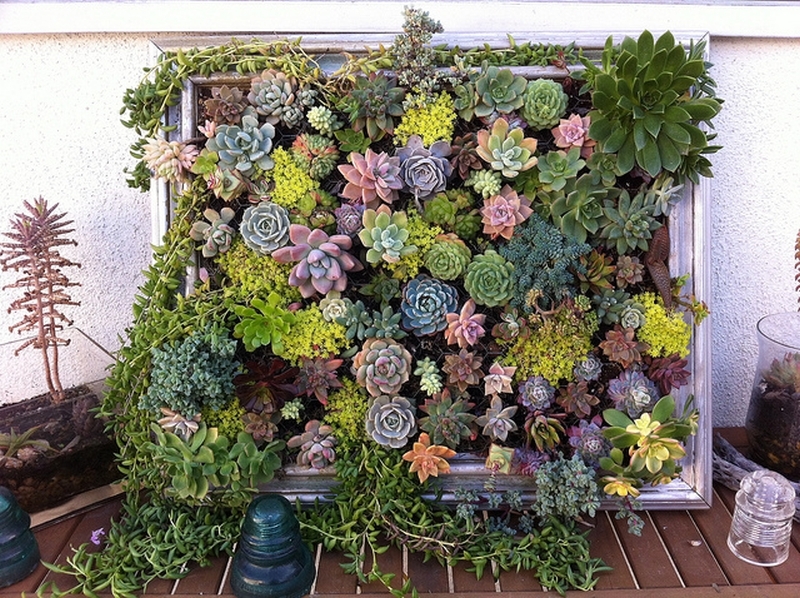 Using household tools like hammer, wire cutter, and work gloves one can make a wall-hanging vertical garden which grows succulents. 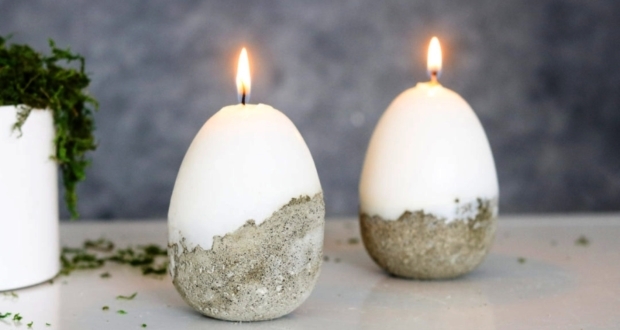 To know more on how to make it, follow this DIY tutorial. 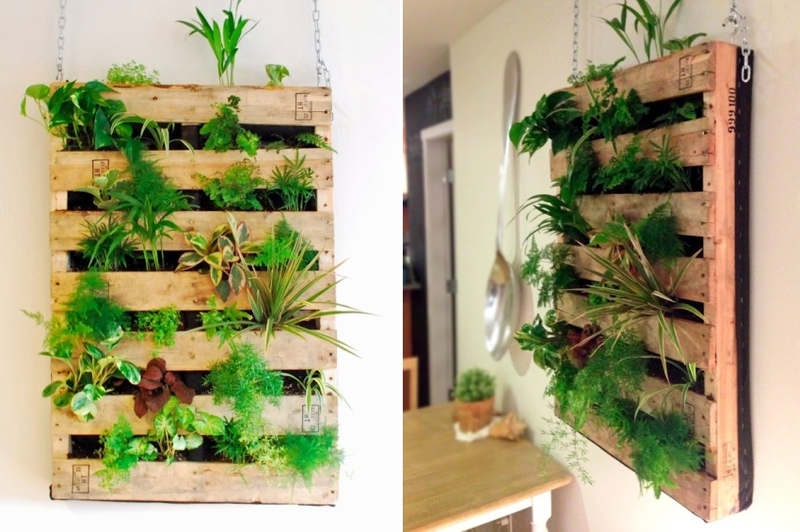 You can create this versatile pallet living green wall which can be hung or fixed to the wall. The DIY required moderate woodworking skills as wood pallets are joined together to form a sturdy unit which incubates herbs, plants, and veggies. 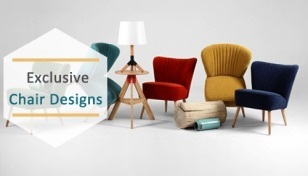 As plants grow, they protrude out of the sections which enhance the overall look of your living room. 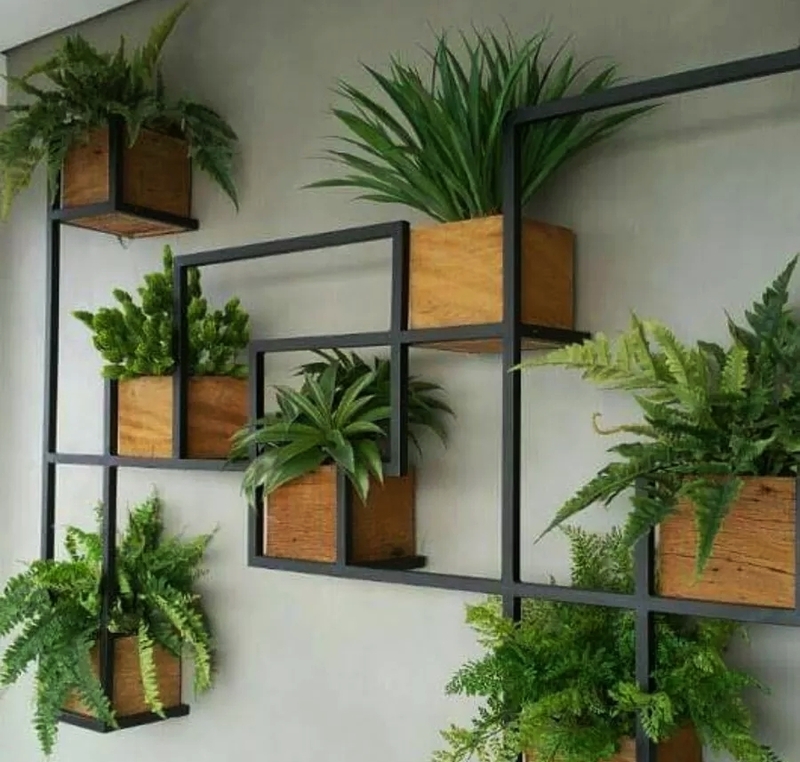 For those who want to create a DIY vertical garden that looks aesthetically pleasing, the trellis plant wall is a good illustration. 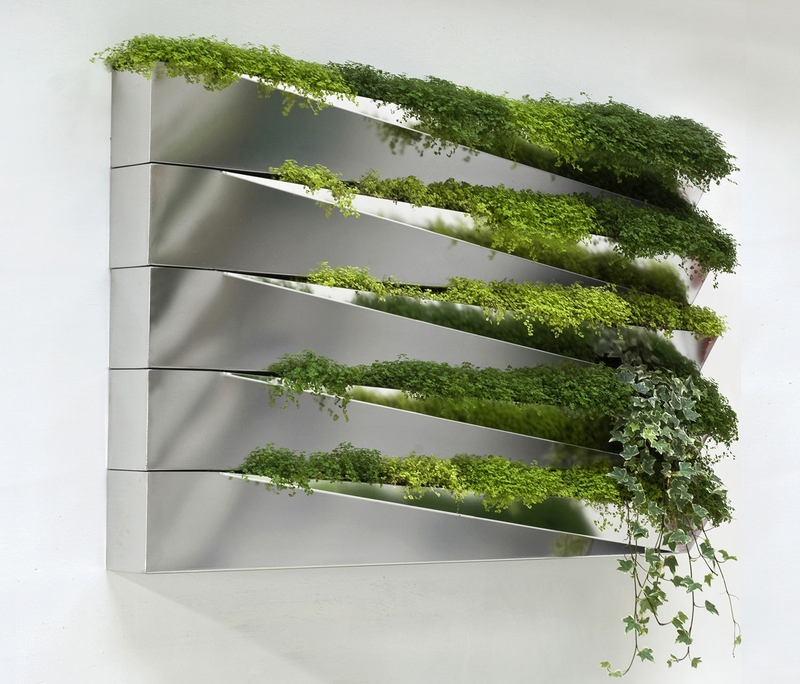 The vertical garden looks minimalistic while making good use of an empty wall to liven up your interiors. 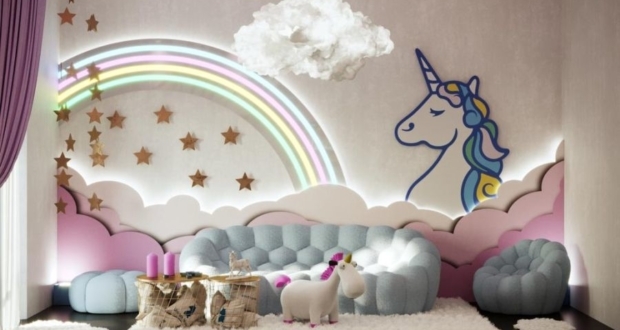 For this project you’ll need some basic woodworking skills, so follow it right away by clicking here. 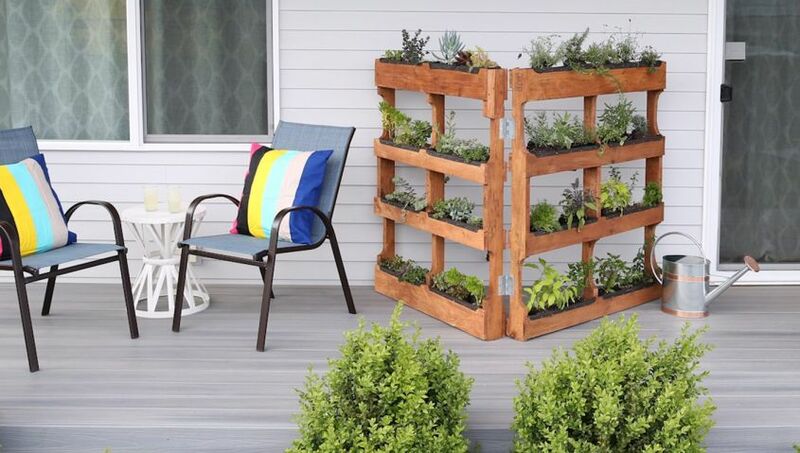 Wood pallets make for the perfect vertical garden frame as they don’t degrade easily from water exposure. 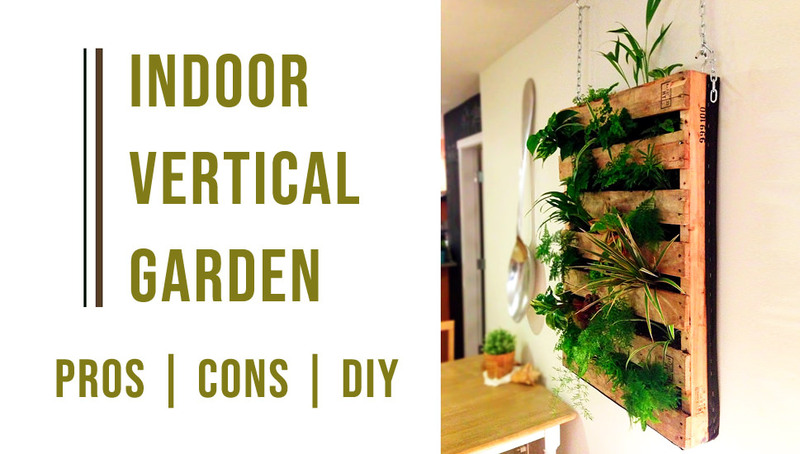 This DIY shows you how to utilize unused wood pallets for creating a beautiful indoor vertical garden. All you need are wood pallets, door hinges, staple gun, and landscape fabric. 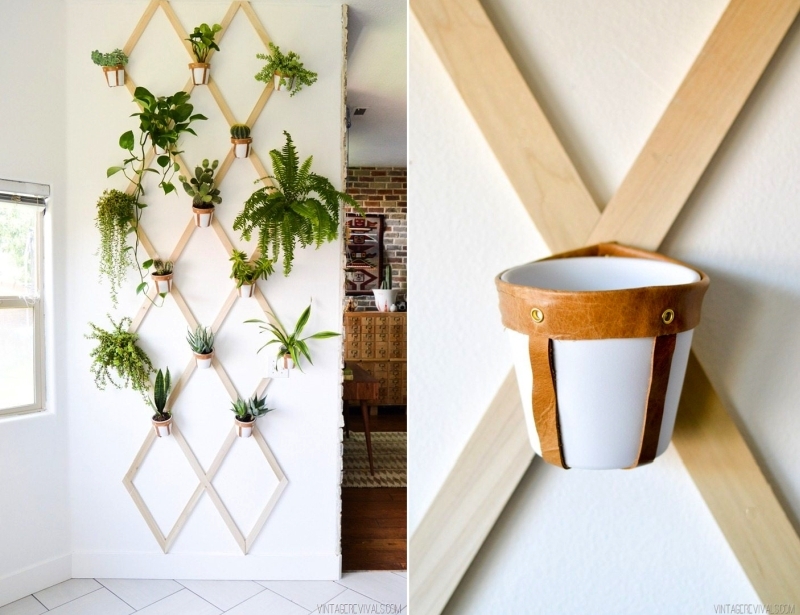 If you want to make a bold statement in your interior space with an indoor vertical garden, this DIY by Craft Bits is perfect. 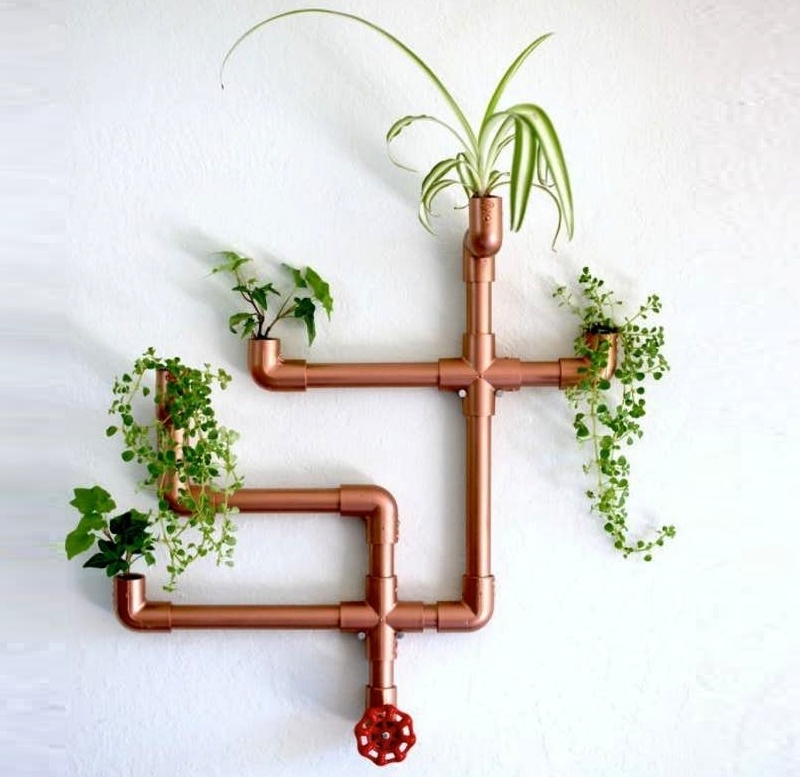 Making use of PVC pipes to create a wall planter, it is a project that looks very impressive. 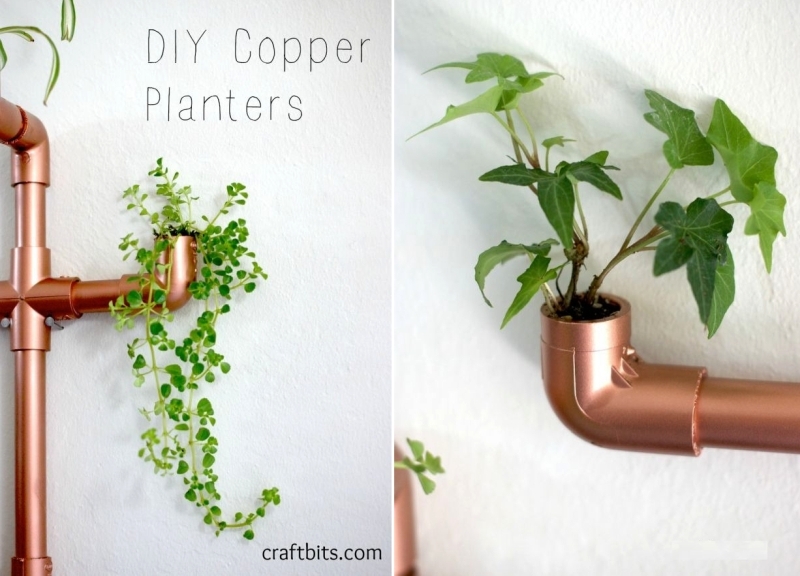 The copper like appearance of this planter is achieved with similar color spray paint. Made out of foot cedar boards, this indoor vertical garden is easy to maintain and has a minimalistic form factor. The step ladder like compartments for growing herbs and plants can be placed in any corner of your home without much hassle. 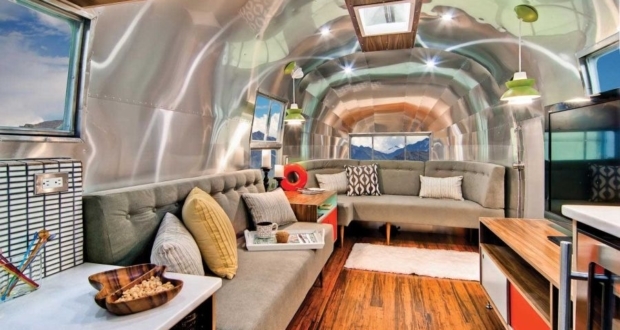 Follow this detailed DIY to learn more about the building process. 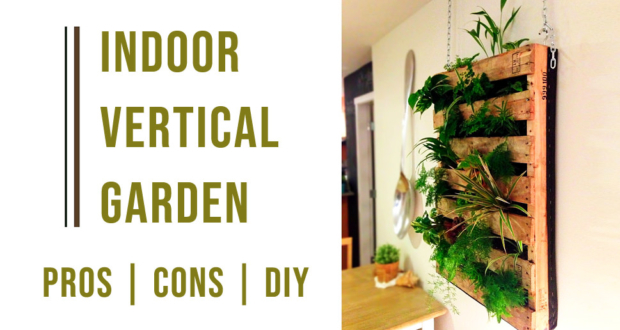 For those who don’t have the time or resources to create a DIY vertical garden can opt for these winning design options. Check out the impressive vertical garden systems which focus on indoor aesthetics and health of the plants you grow. 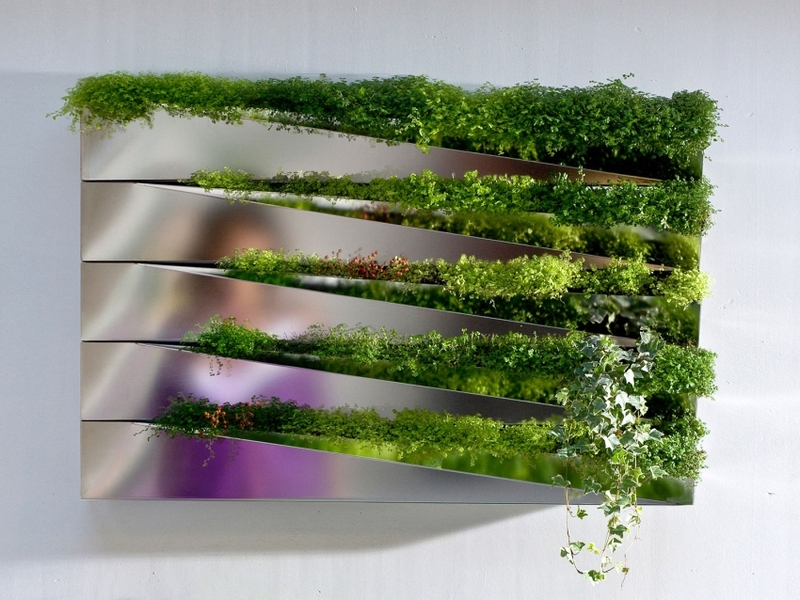 Designed by Jean-Jacques Hubert, the Herbe Mirror is a stylish vertical garden for modern interiors. The system has five rows of mirrored planters which deliver nutrition to the plants in a controlled manner. The mirrors reflect greenness of the grown plants which lends liveliness to any kind of interiors. 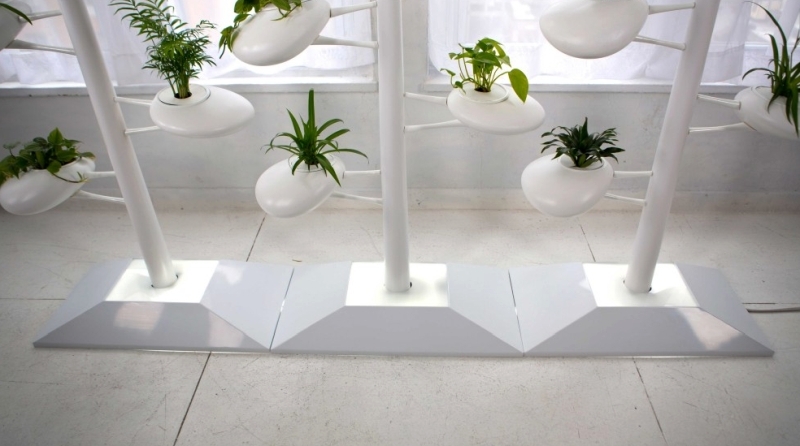 The Citysens is an indoor self-watering vertical garden which can be connected to the internet for delivering plant nutrients at set intervals of time. The planter can be programmed for 16 different irrigation methods which give the user a multitude of options. 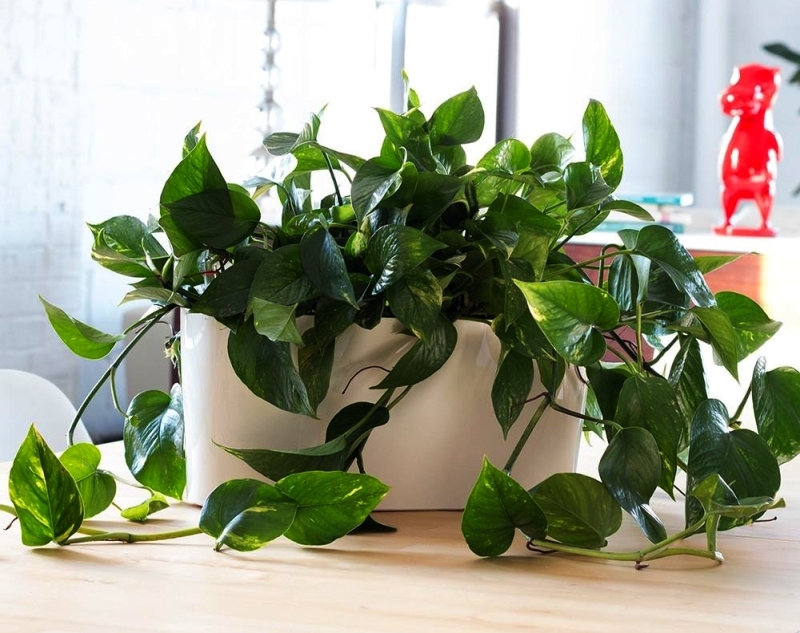 The planter works best for ornamental indoor plants as it has pots which can have soil, just like any conventional planters. This vertical garden designed by Danielle Trofe Design promotes urban gardening in interior space. The aesthetically-pleasing design has multiple rows and columns of planters which can grow ornamental plants, veggies or herbs. 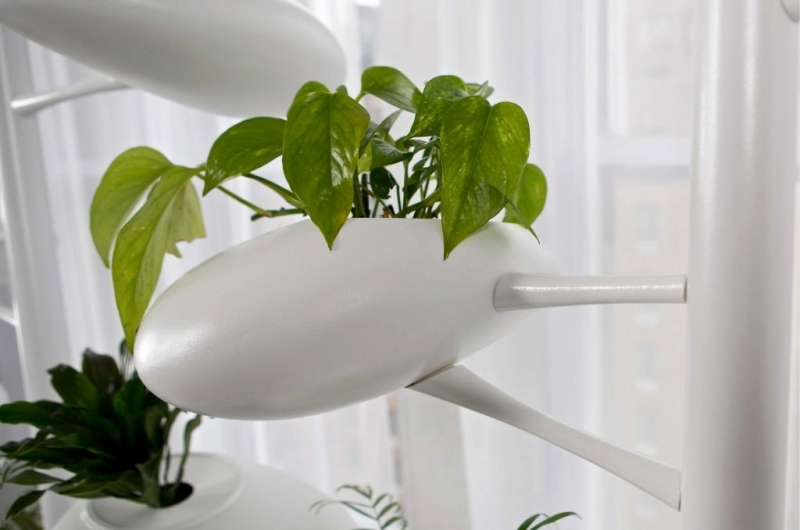 There is an internal air pump which circulates water and nutrients to the plants. 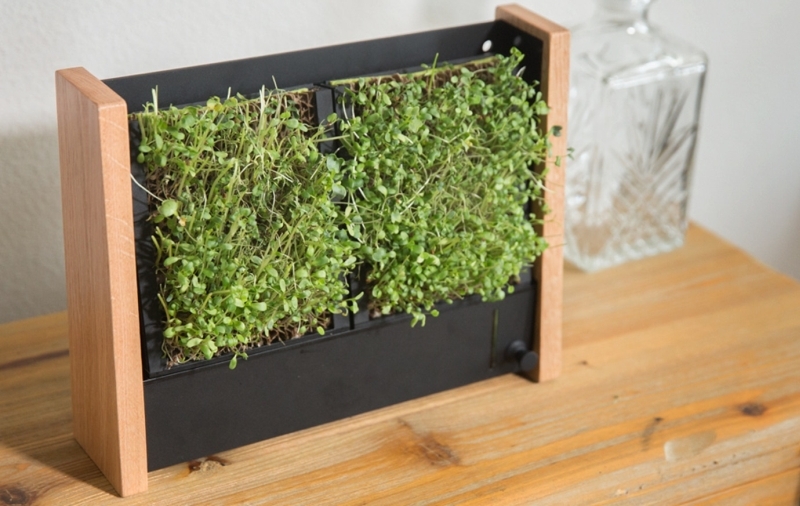 This compact vertical garden dubbed EcoQube Frame can grow micro-veggies in just 10 days. 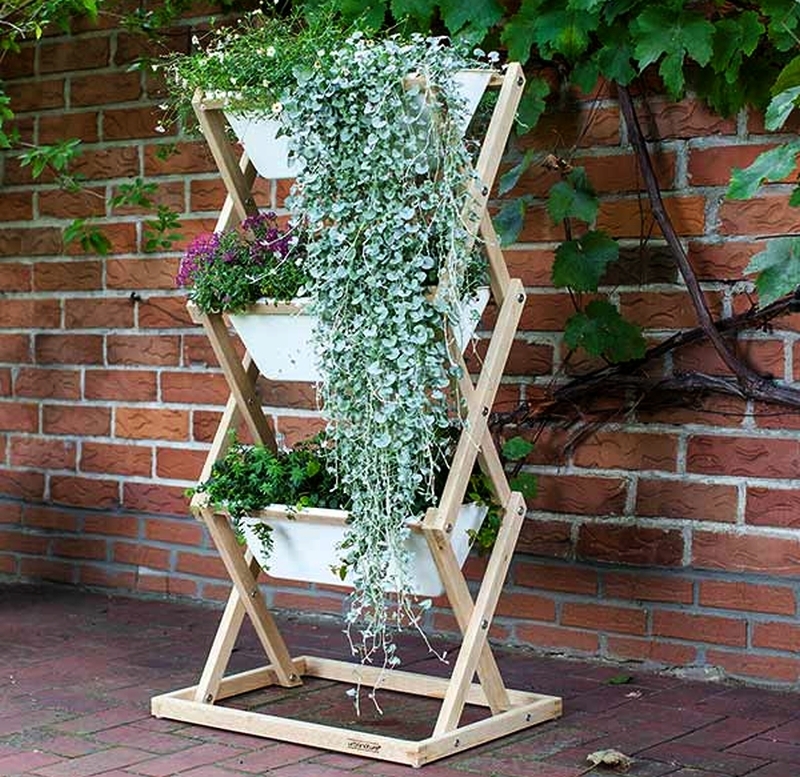 The vertical garden planter is also ideal for growing herbs and plants in small apartments, thanks to the low-maintenance requirements. 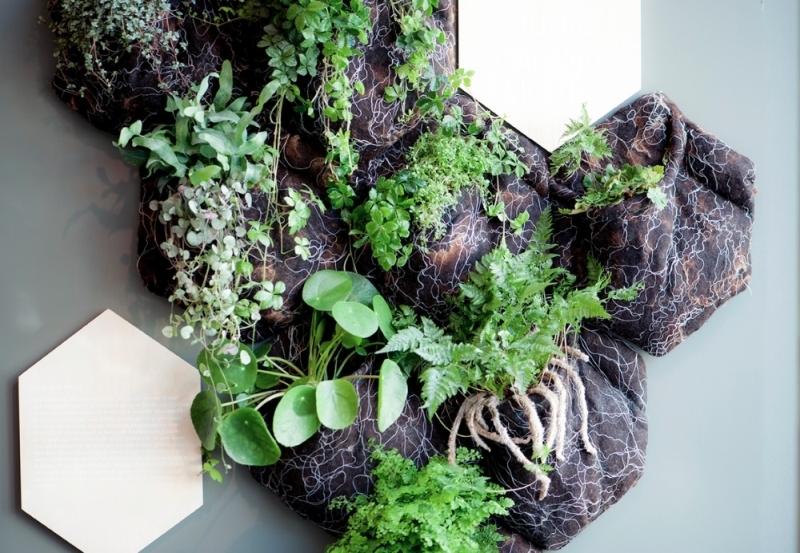 Designer Carolijn Slottje has come up with a new method of planting with the vertical Quilt Garden which is a hexagonal-shaped planter to create a patchwork of plants. Black wool and jute hold the plants in place and give the planter a natural soil like appearance. The modular planting system has a very unique aesthetic which gives this vertical garden its own character. 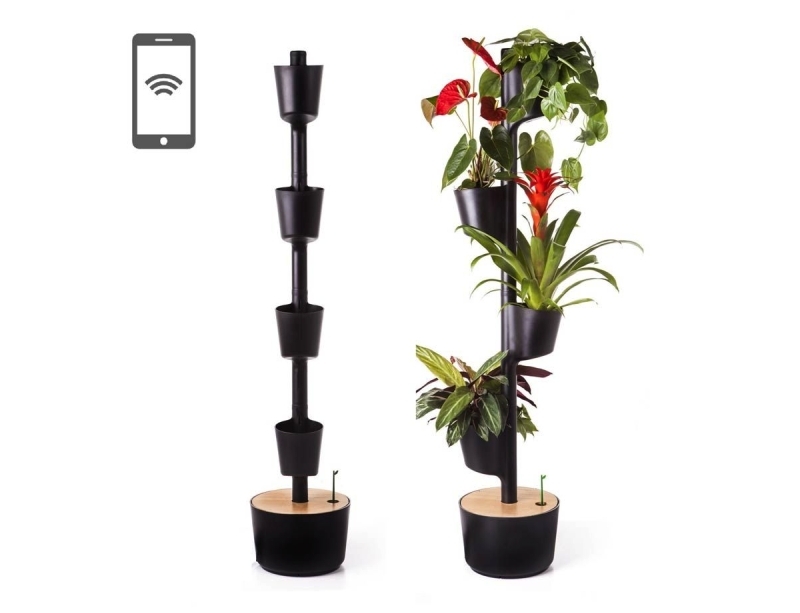 The self-sufficient BambooFlow vertical garden has a water reservoir which nourishes the plants planted at a distance from each other along the length of the bamboo. The hydroponic system provides the plants with nutrient-rich feed which keeps them healthy and self-sustained for long. 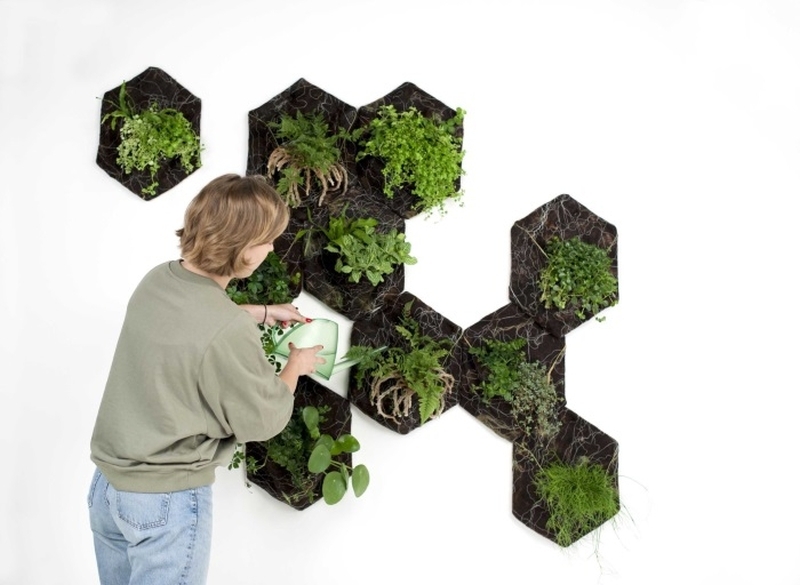 This vertical garden planter adds life to your wall with its intricately designed form factor. The crisscrossing iron bars create space for the wooden planters which can have different plants. The 8 lacquered planters are big enough to accommodate the most demanding indoor plants. 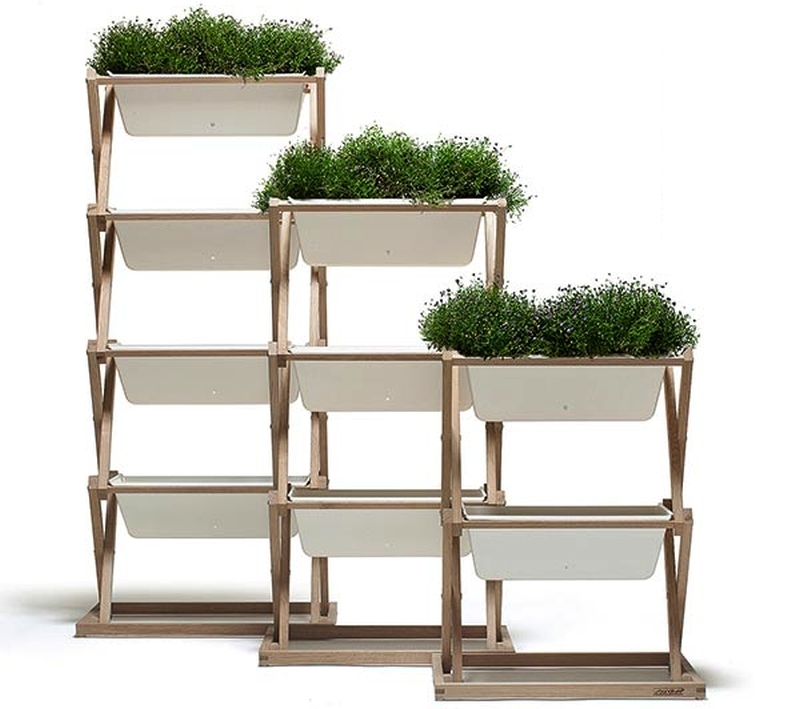 Going well with the urban gardening theme, Urban Nature vertical planter has separate boxes to house your indoor plants in style. The best thing is that it can be folded and stowed away to another room when needed. 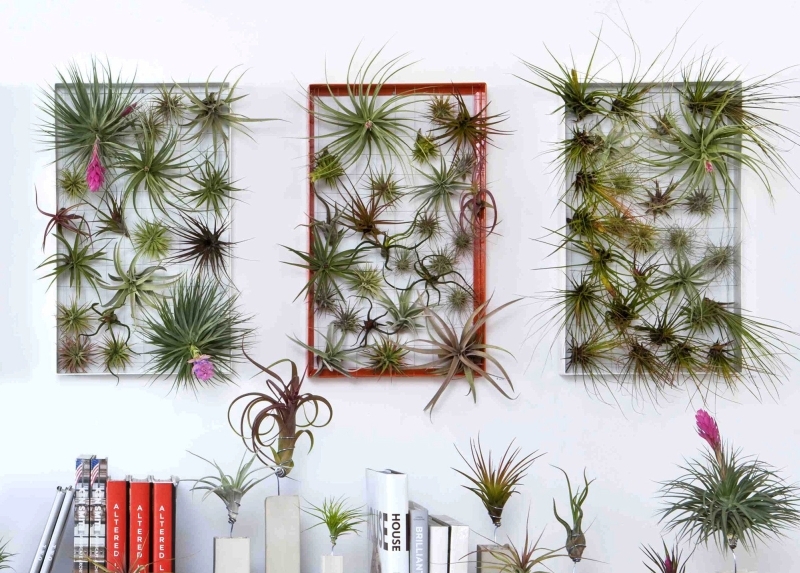 Made specifically for airplants, the living wall art by Josh Rosen is a vertical garden system that’s 100% recyclable. This small vertical garden is like a photo frame, with live growing plants sitting on the wall of your living room. Isn’t that cool? People who love indoor gardening will fancy the option of displaying a vertical garden in their living area as it instantly boosts the look of the interiors. Whether you make one yourself or go for the more advanced hydroponic systems, you’ll have healthy air to breathe in and a visually pleasing environment to come home to.